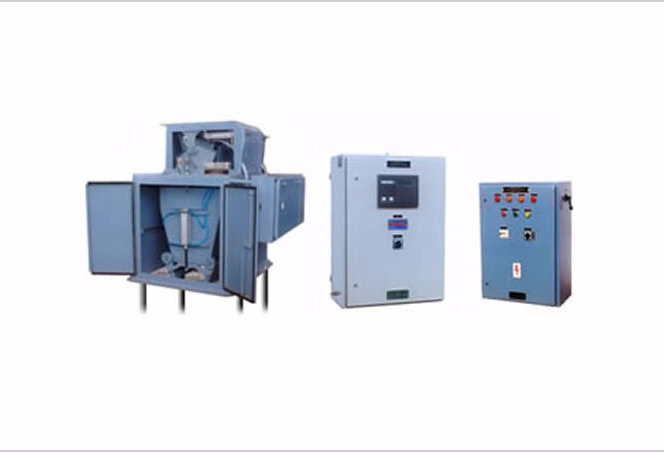 PEL manufactures electromechanical as well as electronic microprocessor based weighing and bagging machines for high speed automatic weighing and bagging of variety of materials such as fertilizers, food grains, sugar, cattle feed, PVC granules, cereals, coal, coke, chemical powder, flour, flakes, soda ash, etc. Machines are designed and manufactured adopting the latest technological developments in the field of accurate weighing. The weighing and bagging machines are available in different models like gravity/belt/screw feeder or vibrating feeder tray. 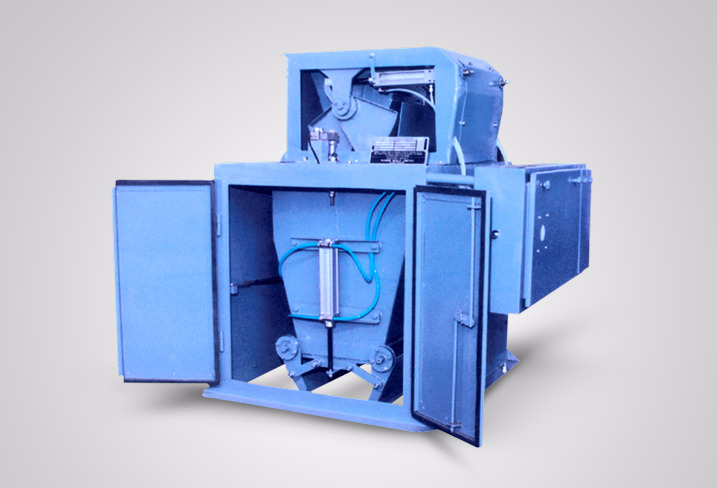 These machines are available as a net or gross model, in mild steel or stainless steel construction. 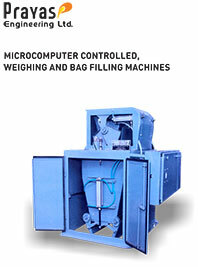 Electronic type microprocessor based automatic weighing & bagging machines incorporating highly accurate strain gauge load cells and latest state-of-the-art fully digital microprocessor controller are available for capacity upto 900 bags/hour with an accuracy of ± 50 gms or better over a range of 25 kgs to 100 kgs as well as jumbo bags of 1 tonne. Powerful 16 bit processor is used for electronic bagging machines. Different models available depending upon the flow characteristic of the material. RS485 serial channel for printer, data output, serial communication. Parallel I/O interface with inputs and outputs, which can drive the magnetic valves directly. Operation and display terminal suitable for panel mounting or table top. Material flows after flow compensation for coarse and fine cut off. Thus the filling accuracy is independent of material density. Auto check stop feature available to check and remove the bags which are out of tolerance. Accuracy ranges from ± 20 grams to 100 grams depending upon material flow characteristics and bagging speed.